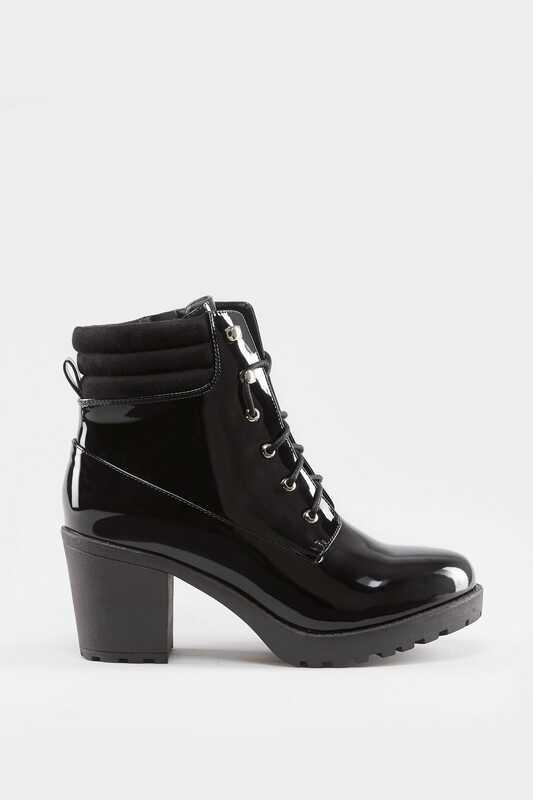 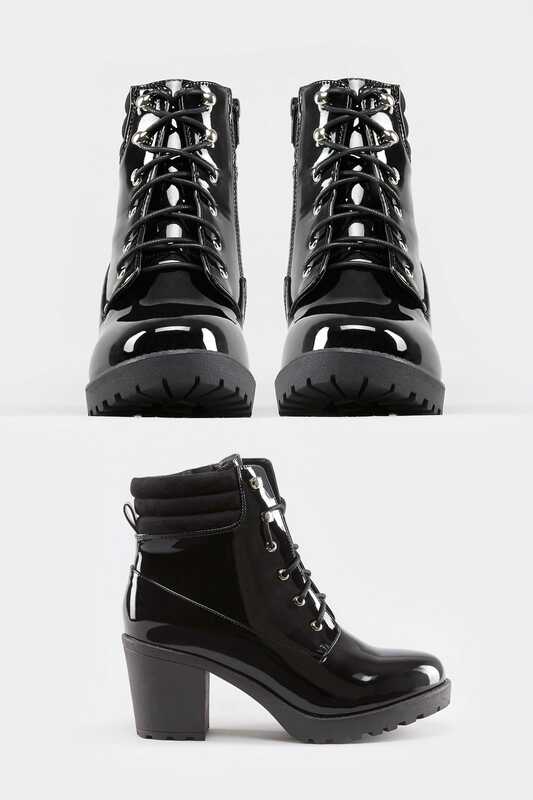 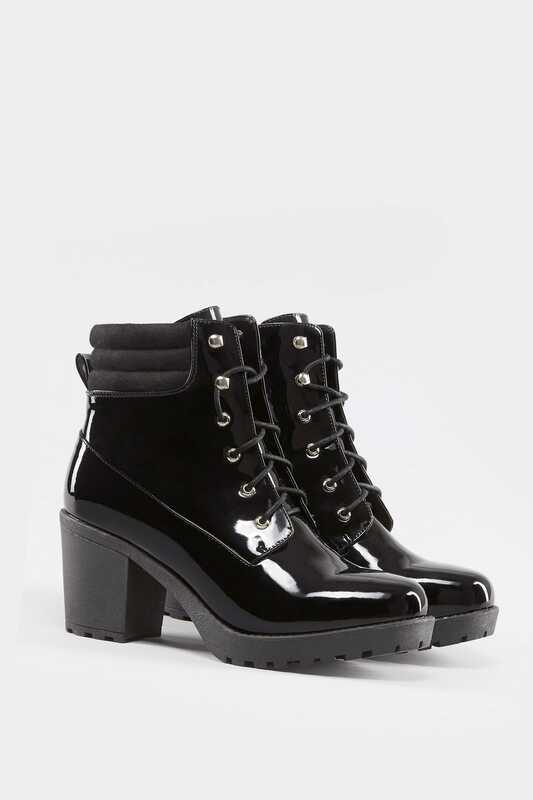 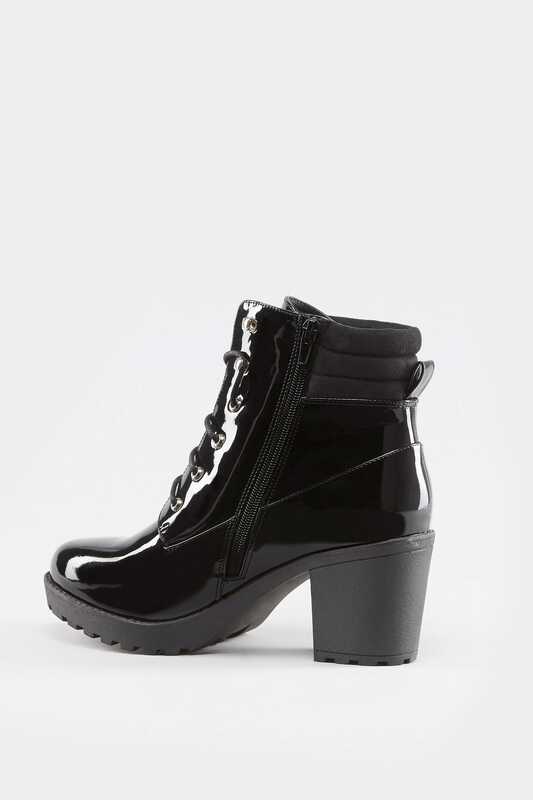 Channel cool biker chic vibes in these platform ankle boots. 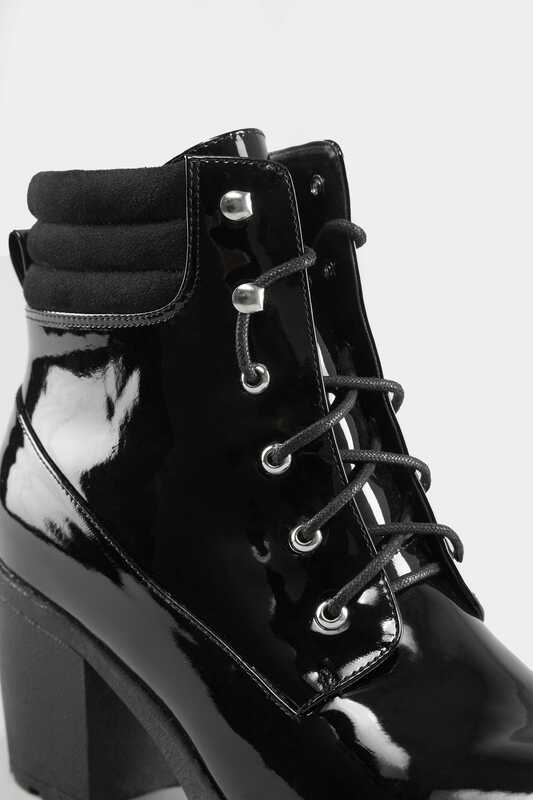 In a patent finish, they feature a lace up front and a microfibre padded collar. 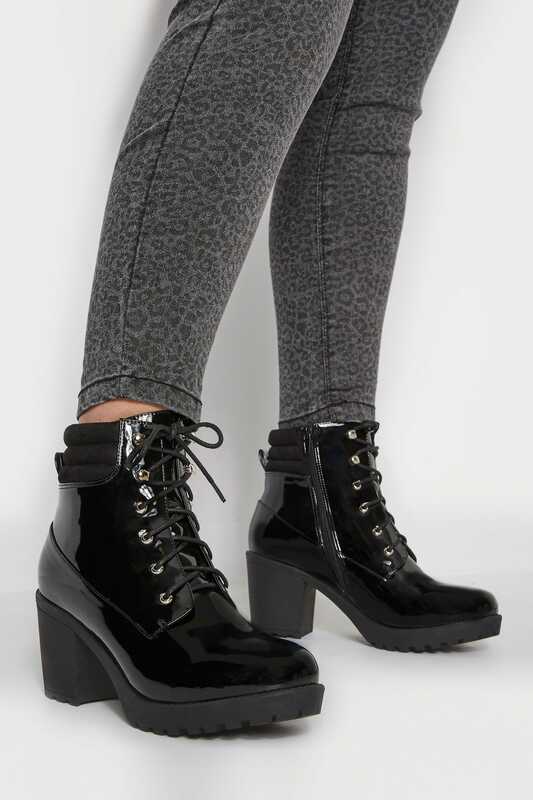 Easy to wear with their adjustable laces and full length side zip, they are paired well with ripped jeans and checkered shirts for an edgy off-duty look.